My first step to a PADI (Professional Association of Diving Instructors) Professional was for sure my Snorkeling experience on the Caribbean Sea in the Years 2004 (Punta Cana Dom Rep) and 2005 (Mexico Yucatan). We rent us some Snorkel gear from our Hotel and explored the colorful marine underwater world. It was amazing! In this time I said: why scuba diving? 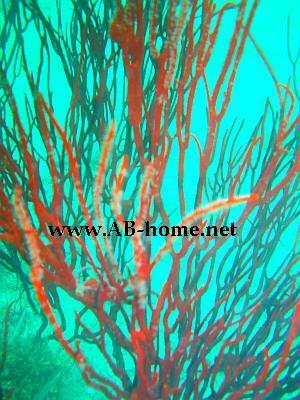 During Snorkeling you can see a lot! But since my first Thailand Trip to Patong Beach on Phuket I know it better. At the Scuba Cat Scuba Diving school I did my first PADI license, the Open Water Diver. My first dive experience was theories in a classroom. After three of the five Open Water chapters my Scuba Instructor did some Dive Skills with me in the Swimming Pool. On the second day of this Dive Course I did the last two Scuba chapters and after I did my first Dive in the open Andaman Sea at the Dive site Crystal Bay next to Patong Bay. A incredible feeling to breeze the first time underwater. From the first breath it becomes a hobby. The 3th day of the Open Water Padi Diving Course I did three Open water dives at Bungalow Bay, Banana Bay and Home Run Bay at Racha Yai near Phuket. After the end exam I was ready for Fun Dives and a part of the PADI family. 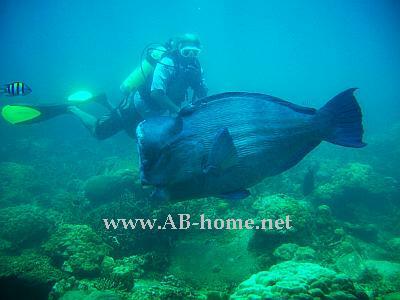 My first Fun Diving was on Koh Tao in the Gulf of Thailand on my Thailand Travel Tour 2006 with Marius. The Dive Boat bring us to follow Dive sites: Ao Ceuk and Rocky Bay. The Scuba Shack Dive team on Koh Tao was friendly and very helpful for a beginner like me. In April 2006 I did the next step on the Padi education system: the Advanced Open Water. The second license I did with a Diving Center on Koh Chang in the Gulf of Thailand. My first of the five Dives on my Advanced Open Water was the Peak Performance Buoyancy Dive at Koh Wai in the Marine National Park on Ko Chang. On this Dive I did some scuba skills to control my buoyancy under water with my BCD and my breath. The second dive during my Padi Advanced Open Water Diver I did with my Instructor at Koh Klum, here we train how to Navigate with a compass and on natural thinks like corals or rocks underwater. The thirst Dive was a Deep dive on Koh Chang Pinnacle on about 30 meters for 44 minutes. The visibility was very good and it was till now my nicest Dive on the Pinnacles on Koh Chang Island in Southeast Asia. Number four of the Advanced training Dives was at Koh Yak Lek where I learn how to make good Pictures with a underwater digital camera. On the same evening I did my first Night Dive at Hin Luk Bat. A nice experience on my way to a Padi Divemaster. The next Day I was helping by an Underwater Cleanup as a fresh Advanced Scuba Diver. We clean the region around Koh Wai in the Gulf of Thailand. After my Southeast Asia Travel tour true Peninsular (Malaysia), Singapore and Bali i did two more Fun Dives on Koh Chang at Hin Luk Bat and Hin Rap (names of the Dive Sites). In Mai 2007 I did the first Fundives out of Thailand. At Langkawi in Malaysia I dove at the Shark Point and the Coral Garden Divesite witch is dominated by beautiful soft corals. Here on this beautiful tropical Island I choose the East Marine Scuba Center. The highlight was for sure the mass of Black Tip Reef Sharks in the National Park of Malaysia. The next Station on my Travel plan was Pulau Perhentian in the South China Sea. Here on this Paradise Archipelago I hit five times the water with Spice Divers. I like this Scuba school because of the great location direct on the beach. On Pehentian Island I had my first Diving experience I will never forget: round about 40 to 50 Humphead Parrotfishes was swimming around us and eat corals. As well I did here my first Wreck Dive on the Sugar Wreck. My favorite’s site here on Perhentian was the Temple of the Sea and the Iron Cape. From Malaysias Capital Kuala Lumpur i was flying with Air Asia to Bali in Indonesia. On Bali I was five times in the Water of the Indian Ocean and the Bali Sea. 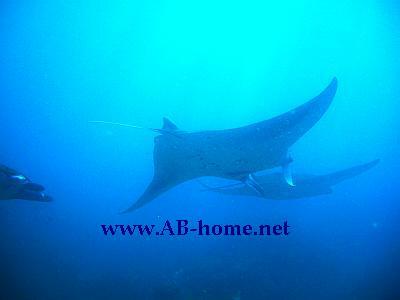 My first one was at the Manta Point Dive Site near Nusa Penida. Here we saw six Manta Rays, Amazing! Number two and three was at Chrystal Bay and Blue Lagoon where we saw a lot of colorful reef life. 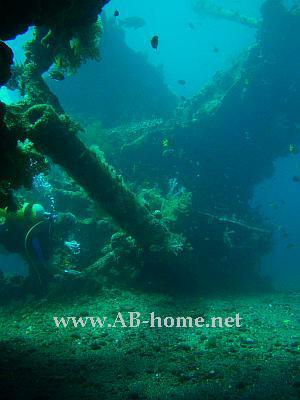 The last two dives in Indonesia on this Travel Tour I did on the Liberty Wreck next to Tulamben Beach. Two month later in July 07 I traveled by bus from Koh Chang to Phi Phi Island. In Thailand‘s Marine National Park at Koh Pi Pi I did two Fun Dives with South Siam Divers Scuba Center. We was at the Bida Nok and Bida Nai Dive Sites near Phi Phi Leh. My highlights while scuba diving on this tropical Islands in Thailand was a leopard Shark, a Turtle and many schools of fishes. The water temperature here in the Andaman Sea was 28 C, perfect for tropical diving. After two more Fun Dives at Koh Chang in the Gulf of Thailand I Start my Rescue Diver and Padi Divemaster Training on Ko Chang Island with a Dive Center on Klong Prao Beach. On my Internship I did about 100 Dives in the 30 degrees warm water in southeast Thailand. The education was realy good. I learned many thinks about Scuba Diving, Equitment, Underwater Navigation, Marine Life, how to handle Divers in a leader position, how to help a Diver who had a accident and many many more thinks what I need in my job as a Divemaster. In December I get my certification as a Padi Rescue Diver, the Divemaster I finished at the 17th of January 2008. My last skill was the snorkel Test where I get a snorkel in my mouth and drank a bottle of SangSom Thai Rum out of the Snorkel. After we start in the front of the Padi Dive Center with Chang Beer Round’s till I and nearly every Diver was drunken like hell. A hard Scuba Skill on the way to my Divemaster Card! My favorite Dive Sites around Koh Chang in Thailand are Hin Luk Bat witch is a nice Reef, Hin Raap, Blueberry Hill, Koh Chang Pinnacles and Koh Yak a bit south of Ko Chang in Thailand’s Marine National Park of the Ko Chang Archipelago. Since I finish my Padi Divemaster I worked till December 08 on the beautiful tropical Island Koh Chang. In the beginning of December I had a Motorbike accident, so till right now I’m not allowed to go diving. So soon as possible I will be back in the tropical water of the Gulf of Thailand but now the high season on Ko Chang is finish already so i will wait to next season for leading divers in the warm waters of Thailand. The water around Chang Island are between 27 and 31 degrees, the best time for diving is from November till February where the visibilities can be up to 25 meters. For more informations about Scuba Diving in Thailand read the Lonely Planet Diving and Snorkeling witch you can order online here from this page. For more travel tips you can read the Reports of the destinations or read the Lonely Planet South East Asia. If you want to see some more Scuba Dive Pictures click here. The food on Samui is delicious and cheap, the beaches are lovely and all the Thais we met were very friendly and eager to advice use. We stayed at Bophut- a completely different place to the busy tourist trap at Chaweng Beach.